The sight of a great white shark usually inspires terror. They can reach up to 20 feet in length and weigh as much as 2,000 pounds. An apex predator, great white sharks have the ability to dive below 3,000 feet. And, their self-repairing DNA makes them incredibly resistant to cancer and heal quickly after an injury. In theory, larger animals are at a greater risk to develop cancer because of both their size and long lifespans. 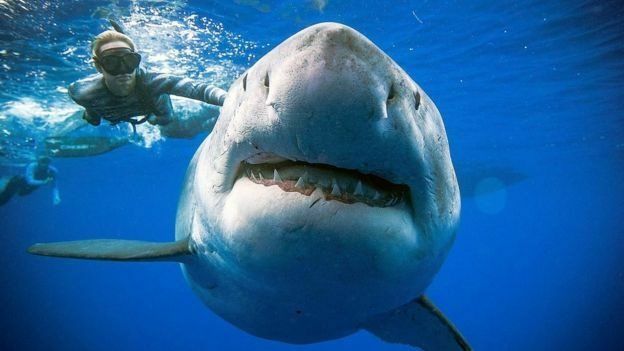 Great white sharks can live more than 70 years. However, large-bodied animals, such as great white sharks and elephants, are no likely to develop cancer than humans. Researchers hope that learning more about the superior cancer-protective abilities of these animals could help humans with cancer and other diseases. “Understanding how non-human vertebrates that have been around for a long time have evolved superior mechanisms for combating diseases could provide guidance for gene-based drug development for humans.” Mahmood Shivji, research scientists and Director of Nova Southeastern University’s Guy Harvey Research Institute and the Save our Seas Shark Research Center, said to Laboratory Equipment. A research team led by scientists from Southeastern University’s (NSU) Save Our Seas Foundation Shark Research Center and Guy Harvey Research Institute (GHRI), Cornell University College of Veterinary Medicine, and Monterey Bay Aquarium recently sequenced the entire genome of the great white shark. The genome—which measured more than one and half times the size of the human genome and consisted of 4.63 billion base pairs—revealed multiple sequence adaptations and genome stability genes that could aid in wound healing and cancer protection in people. The great white shark genome contains a high number of a particular kind of jumping gene known as LINE. Typically, LINE creates breaks in DNA—causing genome instability—when they insert themselves into various parts of the genome. But, great white shark genomes are able to counteract genetic instability with stabilizing genes involved in DNA repair, damage response and damage tolerance. Additional molecular adaptations were found in the shark’s genes that controlled genome stability. Genetic instability, which occurs when there is accumulated DNA damage, has been associated with numerous cancers and age-related diseases in people. 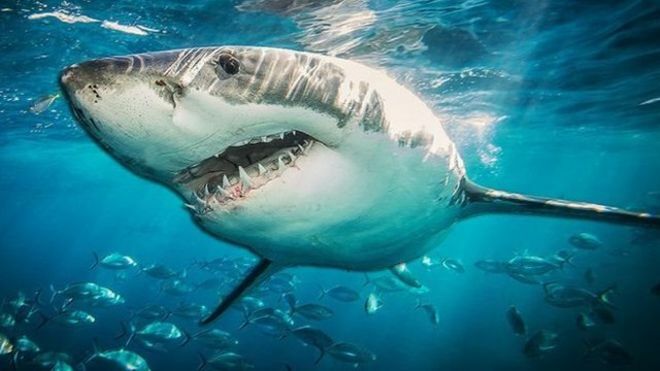 The research also showed that great white sharks display positive selection and gene content enrichments in genes associated with wound healing, including one involved with blood clotting. Sharks are well-known for their ability to rapidly heal after being wounded. Future research will involving placing shark genes into human cells exposed to powerful cancer-causing agents in the laboratory. The researchers emphasized that shark-related products, like cartilage pills, won’t improve health and puts the conservation of sharks at greater risk. Great white sharks are currently listed as “vulnerable to extinction” by the International Union for the Conservation of Nature. Researchers from California State University, Monterey Bay, Clemson University, University of Porto, Portugal, and the Theodosius Dobzhansky Center for Genome Bioinformatics, Russia also contributed to this research.